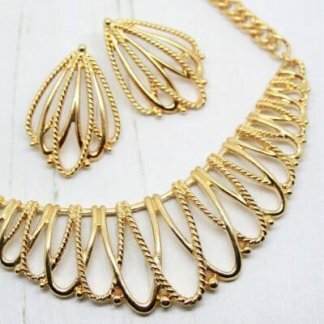 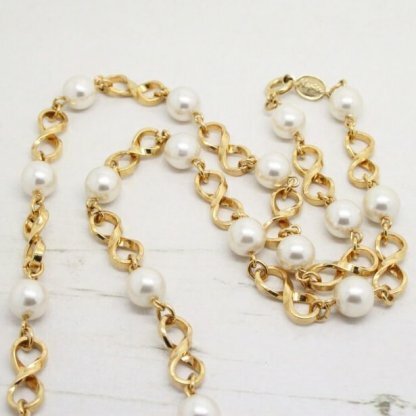 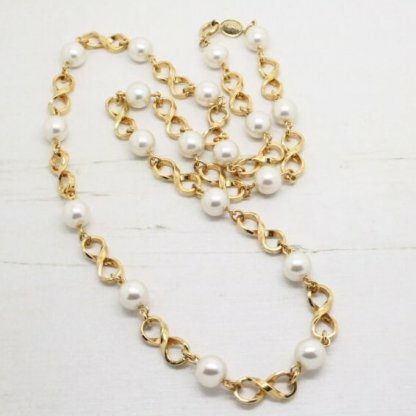 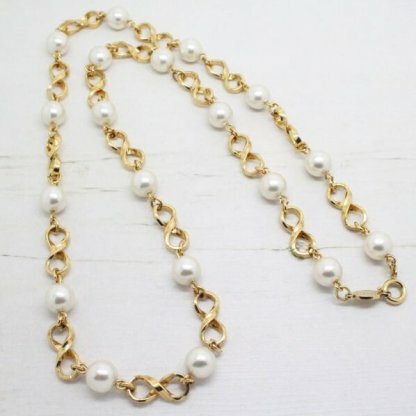 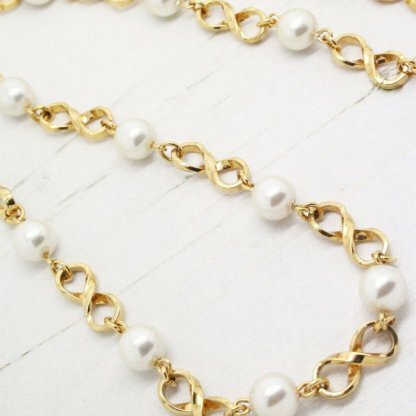 Description: This beautiful necklace from high quality designer Napier features white faux pearls & unique double loop gold plated links. 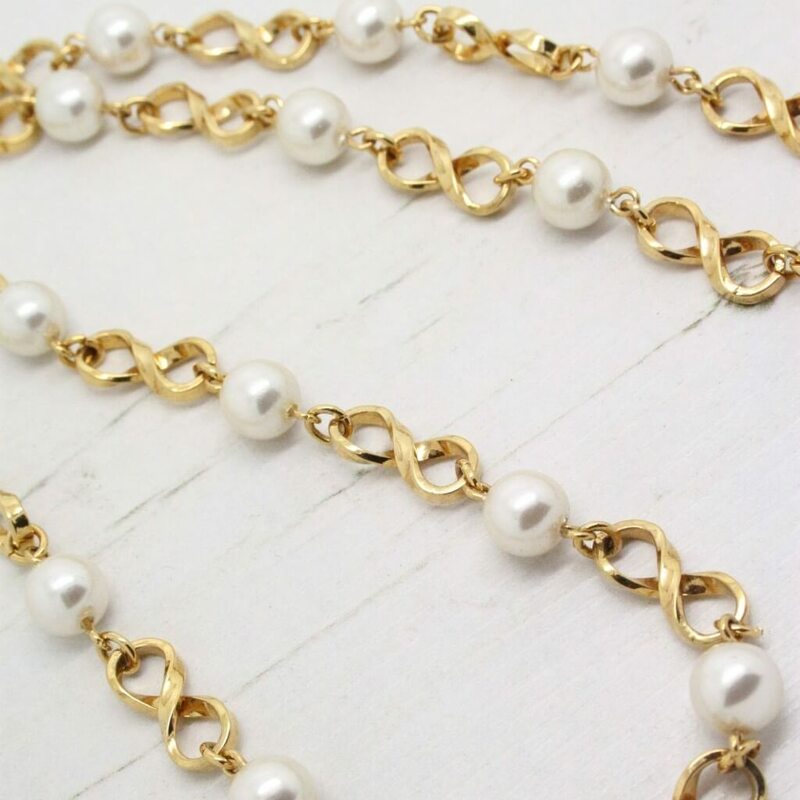 Perfect for wearing on any special occasion – Suitable as bridal jewellery this necklace is sure to make the wearer feel extra special. Measuring 61cm long – Total length from clasp to end closure. 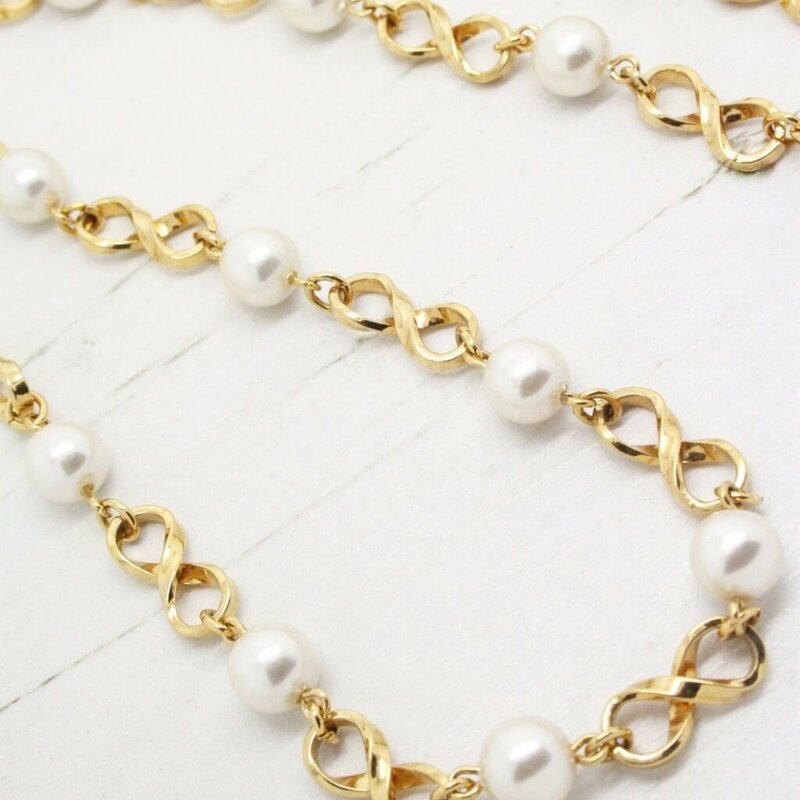 Chain, links and clasp remain bright and shiny. 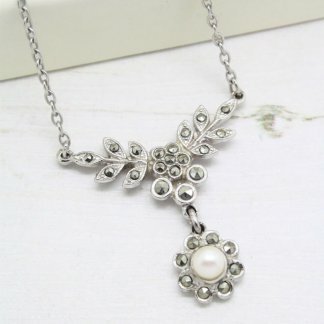 Stunning bohemian style bridal jewellery.